After a year of studying psychics and psychic mediums, I heard about a spirit communication technique called “Automatic Writing.” This is a process of shutting your conscious mind off to allow your unconscious mind to take over your writing, allowing your spirit-guides to write (communicate) through you. Some think of automatic writing as “channeled” writing where your body (in this case, your hands and fingers) is controlled by spirits. Others think of it more as a means of communication, not allowing spirit to control your body but allowing you to stop the noisy chatter of your conscious thoughts in order to hear what the spirits are saying, or possibly what your higher self has to tell you. For those of us who will probably never become psychic mediums ourselves, automatic writing is a tool we can use to communicate with spirits on our own. 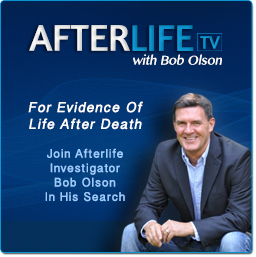 It is a tool that allows people like me and you to communicate with our deceased loved-ones and spirit-guides without the need for a psychic medium. When you really think about it, that’s pretty cool. Not only will it save us a lot of money on reading fees, it gives us better access to the guidance and ongoing relationships we all have access to with those spirits who love and guide us. I decided to give automatic writing a try to see what results I might have. 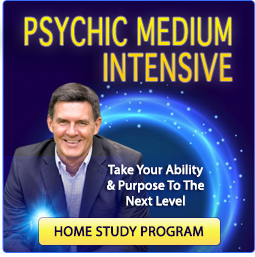 I understood what psychic mediums do to raise their energy and connect with spirit, so I knew the basic process—basically it is meditation, clearing the mind and raising your energy. 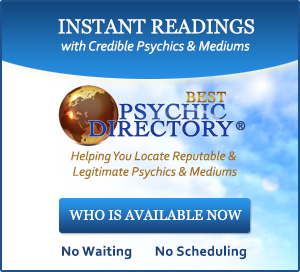 And I knew it was unlikely that I would ever share the gift that Vicki, John, Rita and the others have as psychic mediums. As a writer, my typing skills were such that my fingers typed words as fast as I could think them. It seemed like an interesting experiment to type my thoughts before I had a chance to think about what I was writing. I wasn’t confident that I would be able to do this automatic writing thing, but I knew there was no harm in trying. I meditated first to get into a relaxed state of mind. I’m not all that great at meditation, but I found it is helpful to use headphones and some type of relaxing music to shut off any outside distractions and slow my brainwaves. I’m one of those people who often falls asleep while meditating. If snoring were a sign of deep meditation, monks and yogis would be at my door asking to learn my secret methods. Once relaxed, I placed my fingers over my keyboard. I’ve found that I usually have to ask a question in order to get started; I think that helps amateurs like me. Then I rapidly typed whatever answer popped into my head. Most times I was aware of what I was writing, but didn’t have time to edit anything consciously because I was typing so fast. Other times I felt like my typing was slowing down and my conscious mind might be controlling the process, so I stopped and relaxed my mind again before proceeding. You are energy. You are all energy. Energy. Remember yourself as energy and more will begin to make sense. When you remember a past life, when you connect with a person across the country or across the world telepathically, when strange unexplainable coincidences occur that you simply cannot make sense of, this is because you are energy; and until you see yourself as such, you will not be able to make sense of it all. Energy is all we are. Your temporary human existence is like a ride at Disney World, you are traveling through space inside a body. Consider this body your vehicle. Like your car, you must treat your body well in order to get the most mileage out of it. But do not get too attached to it, it is only temporary. You will have other cars, and thus other bodies. There are no limitations to your destinations. The only limitations are within your own belief system. You cannot drive to a location that you do not believe exists. You would not even try. If someone told you to drive to Atlantis, you would never leave your driveway. You do not believe it exists, so you would not attempt to get there. The same is true with your destinations in life. If you can think it, you can and will get there. You have heard it said, “You must know where you are going in order to get there.” That is related to this concept. It is not really necessary to have a map or route planned out; it is only necessary to have a destination. “Destinations Unlimited” would be a good title for a book on this teaching. “Think it and it will be” is the lesson. Think of yourself as energy and you can make anything happen. Energy is without limitations. Human form is a sluggish energy, but your mind allows you to make anything happen. Your mind is not sluggish. Your mind is pure energy, and it is faster than light. Do not let your sluggish human form fool you into thinking you are limited in your power to create change. Remember from where you came, your home. You are energy and you have no limitations. Solid forms are energy, too. Solid forms are those with the lowest movement. Density is the challenge. Density is the challenge of human existence. You must remember that even dense objects are energy, but we as humans often fail to recognize that. By knowing that all is energy, even the densest substances, you will know that everything can be changed. But change must first happen for humans within their mind. Every change first begins with thought. Thought then sends the signal out into the Universe and it manifests. As a human you cannot know how this manifestation process occurs. So you must trust. But the results will prove to you that is it true, and that will allow you to trust even more the next time. As your trust improves, so will your ability to manifest what you originate in your thoughts. Then it will begin to occur faster. Belief—knowledge from learning and experience—limits us in human form. You must open your mind to the possibilities of what you want to manifest, not what you think is possible. Do you want to achieve world peace? Then believe it can be done. Trust that it can be done. Do you want to manifest change in form or society or yourself? Then first believe that it is possible, even if you cannot conceive of how that will occur. It is not for you to know how it will occur. It is only for you to imagine. Then focus your thoughts on that outcome. Imagine the details so that your outcome will be able to manifest exactly how you see it in your mind. With the details in your thoughts, the Universal energy will create it as you see it in your mind’s eye. Then simply follow your intuition. If you feel compelled to go somewhere, do it. If you feel compelled to talk to some stranger, do it. If you feel compelled to call someone for help, for advice, for a reason unknown, make that call! Follow what the Universal energy is guiding you to do. It is trying to help you manifest your desires, what is in your mind’s eye. By trusting that you are being guided, you will manifest your desired outcome much faster than if you do not assist in the process. Yet, even without your help, if you continue to focus and believe, it will still happen. It may just take a little longer. Outcomes are achieved in stages. Manifestation does not occur by twinkling your nose, but by progressing through “levels” of manifestation. As these levels progress, pieces of a puzzle are brought together in a way you can not imagine as a human. You can only trust that it is so. As the puzzle is completed, your outcome—your desired thought—will be. This is the power of human thought energy that everyone has but few people know about. 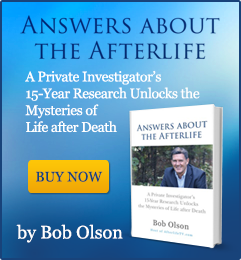 Even those who have learned of this great power of manifestation are limited in their ability to use it because of their doubting belief system. You have been one of those people. For years, you studied the power of thought, but never really believed it contained the level of power to create that some people claimed. Now we are telling you that it is true. And there is a reason for you to know this now. There is a purpose for which you need fulfill that only trust in this manifestation process will allow you to achieve. This is the key. It is time for you to open many doors with this key. You must now begin to practice opening doors. With practice, you will learn the infinite possibilities that exist with this key. And as you gain control of your newfound ability, you will grow in your limitless possibilities, empowering you to make the world a better place, in a way that only you can do. Since we are all so unique, yet so similar, we each have a fingerprint that allows us to touch others in our own way. With this key, it is your time to touch the world in your own way. Open your mind to the possibilities. With this key, what will you do to create change? That is the new question to ask yourself. Okay, I don’t know about you, but I think that stuff is a little heavy. I prefer a lighter approach. The interesting part is that I was the person who wrote it. The truth is that I’m still slightly skeptical that I have the ability for automatic writing. I’ll be the first person to view my automatic writing with a cynical eye. In fact, that’s exactly what I did one day while Melissa and I were over Vicki’s house having some friendly conversation and laughs. “That’s great that you’ve learned to do this,” Vicki said about my automatic writing. “Yeah, but he doesn’t fully believe in it,” said Melissa. “What do you mean he doesn’t believe in it?” Vicki barked. “He’s doing it!” Vicki likes that fact that I still question my new discoveries of the paranormal, but she gets impatient with the depth of my skepticism. I always need a ton of evidence before I will begin to accept certain concepts. Melissa looked at me with one of those, “Well, explain yourself Mr. Skeptical” looks. “I’ll admit that my automatic writing doesn’t sound like anything I would write. But I usually know what I’m typing, so it’s hard for me to believe that it isn’t simply my own thoughts,” I told Vicki. “Well, I know for sure that it’s not your own thoughts, because I know who is coming through—he’s right here now,” said Vicki. Melissa and I looked at each other with curious expressions. We knew this was going to be interesting. “Okay, who is it?” I challenged. “It’s your Uncle Donald,” said Vicki. Just when I think I’ve got Vicki in a spot where I can prove her wrong, she has to come out with something solid. I actually did have an Uncle Donald, my father’s older brother, who had passed a year before my father. 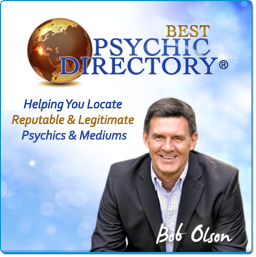 I call him Uncle Duck, but psychic mediums often get the formal names before they get nicknames. Still, I wasn’t going to let this one pass without a fight. If Uncle Duck was really helping me with my automatic writing, Vicki was going to have to prove it. I needed to know he was really there. I knew that Vicki had no knowledge about my Uncle Duck. I knew that I never mentioned him to her. And there was something very personal and distinct about Uncle Duck that she could never have known—he had a tattoo on the top of each foot. So I decided to test Vicki to see if she could tell me about these tattoos as evidence that Uncle Duck was really in the room. “Fair enough,” said Vicki, “I’ll see what he tells me.” I gave Melissa one of those, “Nah, nah, na-nah, nah” looks with a shameless smile. Melissa rolled her eyes. There was a moment of silence while Vicki waited for Uncle Duck to tell her the information I needed. “He’s showing me that he loved fishing,” said Vicki. That was true. Anyone who knew my uncle also knew he was a serious fishing enthusiast. But that wasn’t what I wanted. I wanted the tattoos on his feet! So I told Vicki she was right about the fishing, but that I was looking for something else. “All right, he tells me that he was in the military,” said Vicki. Again, good call. Uncle Duck was on the U.S.S. Enterprise in the Navy during World War II. In fact, he was a war hero who saved the lives of many men during a fire on that aircraft carrier. He also had a lot of military memorabilia from that war around his house. Plus, it was while he was in the Navy that he got the tattoos on his feet. If you knew Uncle Duck, you knew he was in the military; but that wasn’t the proof I wanted, so I told Vicki, “Good call, kid, but not what I’m looking for.” She took a deep breath, sighed, and looked to Uncle Duck for something more. “I got it,” she said with a smile on her face, “he had a tattoo. That’s what you’re looking for, isn’t it?” said Vicki with certainty that she had got it. “Not bad, not bad. That is what I wanted. But if you can get that, I need to know where the tattoo was on his body,” I told Vicki. Vicki sat in silence for a minute. She was sort of lounging on two stools, her body sat on one stool with her feet resting on another like a human bridge. Suddenly, a big smile filled her face and she began wiggling her toes. “The tattoos where on his feet,” she said, knowing she had hit the mark. “Oh my God, I can’t believe you got it,” Melissa said. “Yeah, that’s exactly what I was looking for. I can’t believe it,” I said. I was slightly impressed, yet slightly disappointed that I couldn’t stump her. Now it was going to be more difficult to question what was happening with my automatic writing. I should mention that spirits usually don’t like to be tested like this. They want people to learn “trust.” Uncle Duck must have really wanted to help me get over my skepticism to put up with me on this one. In fact, several spirits have been very patient with my tests during my research for this book. For this, I am very grateful. My point, however, is that it doesn’t hurt to test spirits, but we need to know that some spirits won’t play the game if trust is the lesson we need to learn. Automatic writing is an easy form of spirit communication, and many people believe that anyone can do it. Well-known authors like Ruth Montgomery and her mentor, Arthur Ford, have written volumes of books using the gift of automatic writing. Ruth is a lot better at it than me. Nonetheless, I know that half my problem lies within my degree of trust that I’m really doing it. I still continue to have a tiny bit of doubt even after the whole Uncle Duck experience. After all, the only thing Vicki really proved was that Uncle Duck was in the room that day. It is not that I think Vicki isn’t telling the truth. It’s just a gigantic leap for me to connect the dots between Uncle Duck being present that day and the legitimacy of my automatic writing. Still, if my automatic writing really is legit, and it is not just my own mind writing these things, than I have no doubt that it is Uncle Duck coming through. As I mentioned, why else would he have been there during that conversation? He has never spoken at any of my readings. I have gone through long periods of time without practicing automatic writing, which isn’t advised. From what I’ve learned, the more you do it the better you get at it. For some people, their hands and fingers actually begin moving themselves without any conscious effort—at least that’s what I hear. There are people who actually claim they can have a conversation with a person sitting next to them while their hands type something totally unrelated to that conversation, automatically. Others claim to write something consciously with one hand while the other hand subconsciously writes something different. To me, this type of automatic writing is more like channeled writing, where the spirit basically uses your body to do the writing himself. Perhaps practice can lead someone from the type of automatic writing that I do (more like mental communication) to this channeled style of automatic writing (where your fingers just move on their own). Personally, however, I believe that the difference between the two styles is related to the degree of ability with which one is born, just as some will play Chopin on the piano and some will struggle with nursery rhymes. I expect I’ll always be at the nursery rhyme level with my automatic writing. But never say never; perhaps I’ll have better news in my next book. If you want to give automatic writing a try, it’s as easy as writing a letter to yourself. Start by getting yourself into a relaxed state of mind. Take several deep breaths; tighten and then loosen all your muscles—from head to toe—one area at a time; and listen to some soothing music, perhaps classical or new age music (best if done with headphones). When you feel yourself in a relaxed state, put your fingers to the keyboard (if you like to type) or pen to paper (if you prefer this method), and simply write the very first words that come into your mind. As I mentioned, it is usually best for beginners to start with a specific question in mind. Actually write the question onto the paper and then write the first words that pop into your mind as the answer. The trick is to write whatever immediately comes into your head without really thinking about it consciously. Write as fast as the words come to you so that you don’t have time to intellectualize what you’re writing. Don’t worry about spelling or grammar; this is not going to be graded. Just write the answers to the questions that you asked, and you can read them later (and edit the spelling later, too, if you must). When you stop writing because nothing more is coming to you, or someone interrupts you, read what you have written. You may be surprised to recognize that the piece you have written will sound nothing like your own writing. Friends and family members may notice this before you do if they are used to reading what you write. Try to do your automatic writing around the same time every day. Begin doing it for ten or fifteen minutes per session at the most. Soon, both your spirit-guides and your own mind will be trained to anticipate this particular time of day for this communication, and you will find yourself being able to fall right into the relaxed state of mind and into your automatic writing without delay. As you improve, you can continue your automatic writing sessions for longer periods of time. Do not be discouraged the first few times you try this. It may feel awkward at the beginning, but you will slowly grow accustomed to it. You may also need to learn how to "trust" that what you are writing is actually coming from your spirit-guides and not from your own mind. Chances are, however, the voice you hear will be your own. Don’t expect to hear someone else’s voice. Imagine that you are writing down a conversation you are having in your head with your higher self. With practice, you will notice that the words you write have a greater wisdom about them than the way you normally speak or write. You will notice that the pattern of speech within the writing is different than your own. And you will eventually learn—as you grow to trust the automatic writing—that the information given to you is beyond any knowledge and experience you previously had before reading it. With practice and consistency, you will gain the wisdom of the spirit-world at your fingertips. Good luck and good writing!